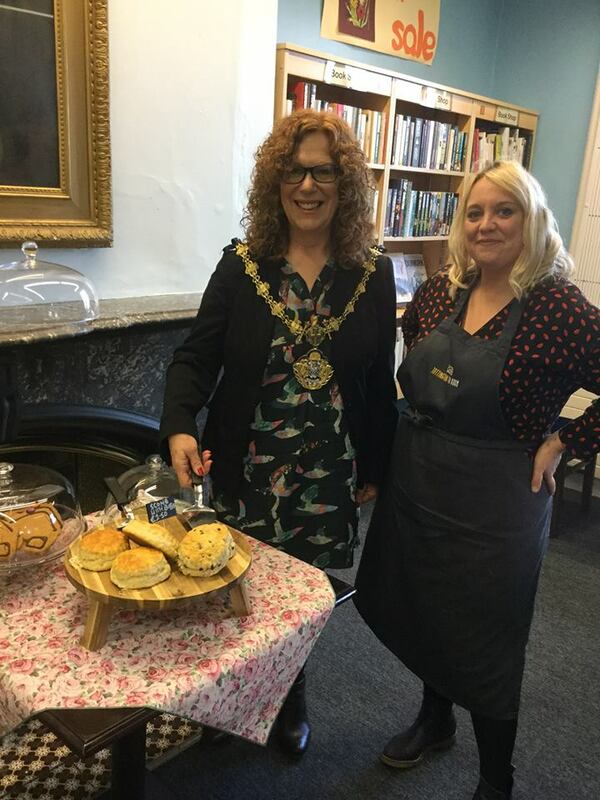 This quirky little Tea Room is situated within the Grade 2 listed building of Tottington Hall – now a lively community hub. The community centre and library was taken over by volunteers in March 2018 and now houses lots of social groups, several businesses, two meeting rooms, an active and well stocked library, many social events and daily activities for children and adults… and now, to top it all – a lovely little vintage tea room right in the middle of the village, overlooking the Bowling Green, with al fresco dining on sunny days. Run as an independent business, the café serves tasty breakfasts, delicious lunches, daily specials, beautiful cakes and coffee .. plus a lovely afternoon tea. Something for all and a great addition to the village. Come for a special lunch, or pop in and read the paper with a coffee. Perhaps have yourself a tasty breakfast after dropping the kids at school or how about afternoon tea with friends. Call in after a walk down the lines (small, well behaved dogs very welcome) or maybe bring the kids for a treat after school. It’s a special place for people of all ages to enjoy. Tottington Tea Room also provides a takeaway service, so why not pop in and order a takeout!